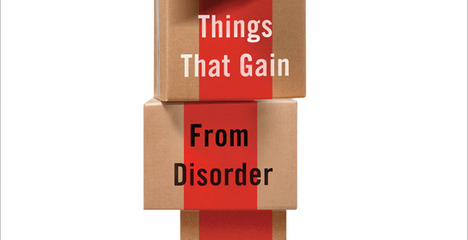 I have been reading with some interest a book by Nasim Taleb titled Antifragile: Things That Gain from Disorder. The premise of the book is that institutions fall into three distinct categories. The first is fragile. These can be seemingly strong organizations that have some fundamental flaws that make them unsuitable for growth and unsustainable. Think of something like Lehmann Brothers which had a storied name and long history but was shattered by the economic downturn. These kinds of actors necessarily must control their environment in order to survive. An uncontrollable change in the environment causes them to collapse. The next organization is the robust one. It is able to continue decently performing despite the changes and chances of the environment. It is a generally desirable category because it is a dependable one however it is not given to any great leaps nor soaring achievements. The final category is the one that occupies the author most – antifragile organizations. These are organizations that are not only able to withstand shocks but are able to grow from them. The author cites examples from industry, nature, and more to demonstrate the traits and characteristics that mark antifragile organizations. These are organizations that are ready for the unpredictable and can respond to changes in the environment rapidly and with great efficiency. Organizations that are committed to security are inherently fragile ones. They attempt to create buffers and barriers against the anticipated threats and sink resources and energy into managing the known. An example might be salaried employment – there is a stability offered by a regular wage but there is always the catastrophic risk that one’s job might be lost. Another might be allowing an economy to be fueled by debt – there is no flexibility in dealing with debt so any hiccup causes catastrophic results. The natural world offers some interesting examples as well. The human body can take repeated amounts of stress like exercise or even small doses of toxins and grow stronger yet an attempt to decrease risk by not moving or being exposed to germs actually weakens the body over time and makes it more prone to serious injury and failure. The Episcopal Church is built on a fragile corporate model. We have layers of bureaucracy that are seemingly devoted to preservation rather than risk-taking. Each step we take to insulate ourselves from shifts in the environment renders us more susceptible over time to profound changes in the environment. One might think of a judo type response to changes in the environment as being more beneficial – we train ourselves to see the changes as they come and learn to harness their energy to aid in our own momentum. As the old proverb says, the reed that cannot bend in the wind will break. There are winds coming left and right for the Church and we have to learn to bend a little more fluidly lest we break entirely. One of the things antifragile organizations take to heart is that there is no normal – there is only the creation of a culture and process that can deal with high levels of constant abnormality. This is precisely the opposite of the model that many of us have been trained in and value. Yet, the more we can habituate ourselves to react fluidly the more ready we will be when we are forced to act and change by the vicissitudes of the environment. An example in our current culture might be the shift in church attendance. We are seeing declining attendance and yet are those coming less bound by cultural expectation? Are they more ready to reach out? Can they become a little more fluent in the language of faith and evangelism? God is giving many of us a faithful remnant who are calling us to lead them into new ventures with boldness. Antifragile organizations aren’t simply bending in the breeze – they are made stronger by the gusts. The interesting thing about the antifragile organizations the author cites is that they are prone to small failures – they are willing to take repeated risks because they learn to handle the cost of failures and absorb the lessons into their organizational culture. They snap back taller and even more resilient. What risks is your church taking? What failures have you learned from and absorbed into your organizational character? Where do you see the need to step out in faith despite the seeming fragility of the circumstances? These are all questions we’ll be praying on and pondering in the coming months and years. Interesting post on how organizations deal with times of social upheaval from the former blogger “The Curate’s Desk,” Robert Hendrickson. Robert – A good question is ask is how average Americans understand “contribute to society.” Politics, entertainment, sports, medicine, etc. all contribute, but probably not so much those who are engaged in the cure and care of souls. The way you describe the actual role of a cleric is very well done, methinks. Too often, I think, clerics take on the definition and understanding of the common culture, rather than maintaining the true calling of the Orders and thus diminishing their impact, role, and perception among those of the society.